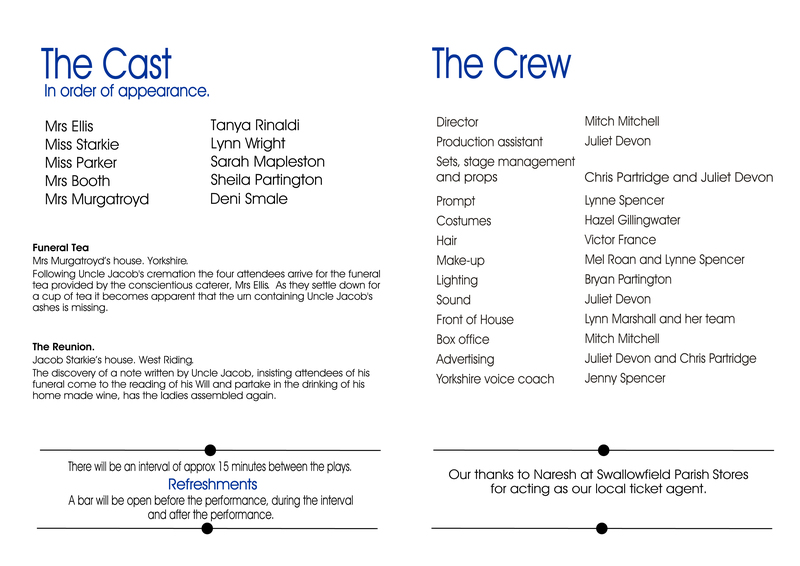 Funeral Tea and its sequel The Reunion, by Pat Wilson, were directed by Mitch Mitchell. 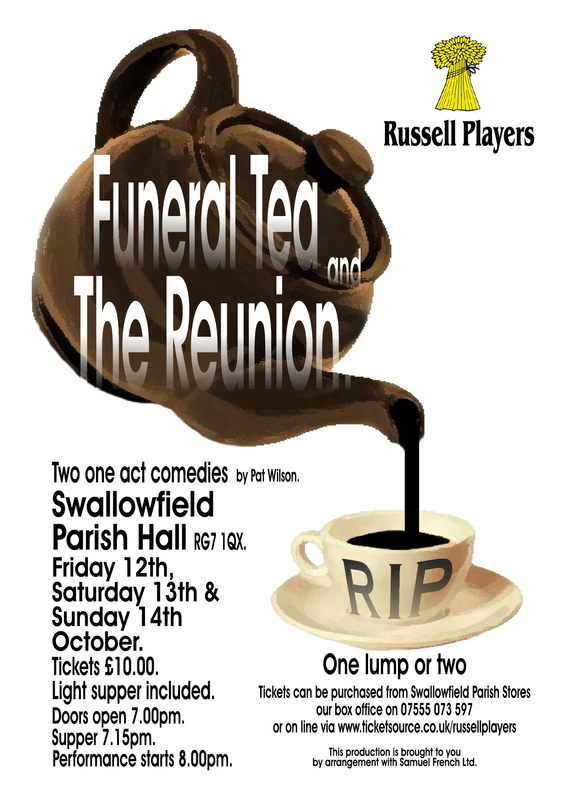 The Russell Players were delighted with the positive response they received for their October production Funeral Tea and The Reunion. The tables were decorated and food served to reflect the subject matter of the production. Lynn Marshall, the Front of House manager, did an excellent job in creating just the right ambience for the two plays performed. Add in the excellent performances by the cast and it all made for an enjoyable evening’s entertainment.